A tent bigger than most banquet halls. An opening off to the side leads right to the beach! This was the actual view from the tent. No kidding! 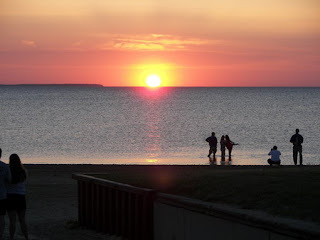 Got to love those Caseville sunsets! A beautiful day and some nice summer music.